WE ARE NOT A RETAIL STORE. If you are planning to pick up a wholesale order, please call ahead to place the order and make a dock appointment. 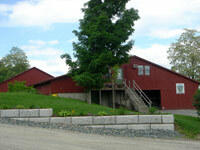 If you have questions about any of our products, please call (802) 222-4277. If you have already placed an order and have a dock appointment but need directions, please call us or click here.